Gale Force Nine has unveiled two licensed Dungeons & Dragons releases arriving in August. 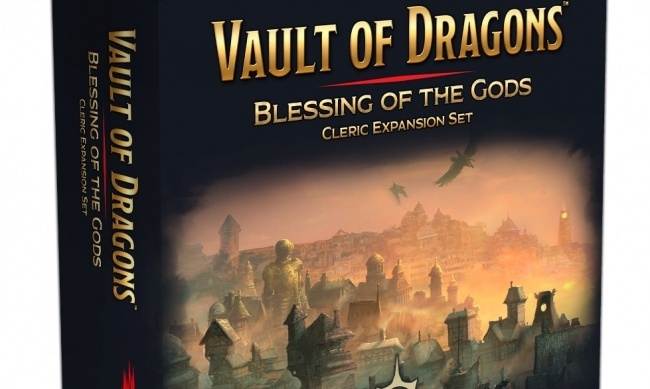 Vault of Dragons: Blessing of the Gods Cleric Expansion Set is an expansion for the Vault of Dragons board game which was released last summer (see “Gale Force Nine Reveals 'Dungeons & Dragons' Board Game”). 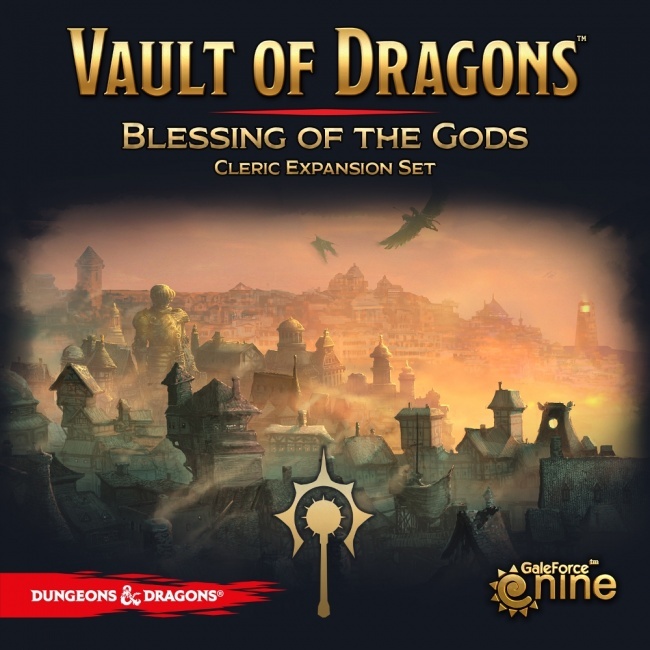 The expansion adds clerics, blessing tokens, and five new Dungeon/Location titles to the game. Each player will get a male and female cleric, as well as a d8 in their faction color. 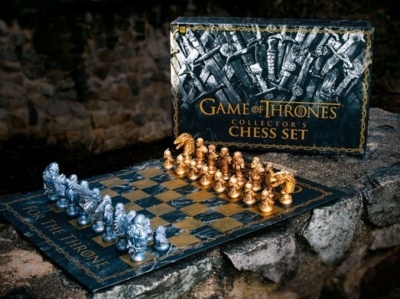 The box includes 5 double-sided location tiles, 10 treasure cards, 10 magic item cards, 8 plastic figures 4 d8 dice, 18 tokens and a rules insert. MSRP is $20.00. 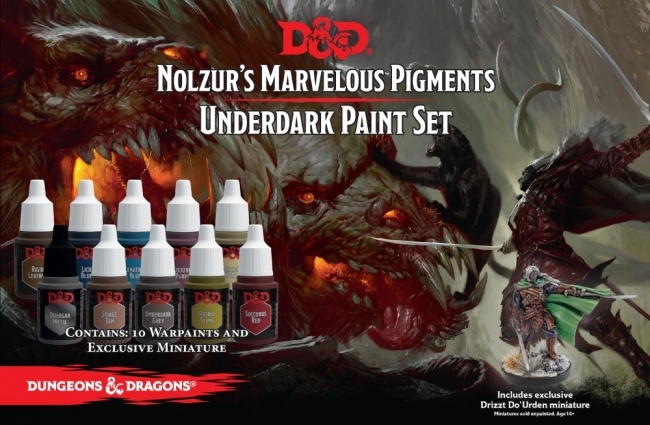 D&D Nolzur’s Marvelous Pigments Underdark Paint Set includes everything painters need to paint the denizens of the Underdark, including 10 paints (including Faerzress Purple, Stirge Tan, and Duergar Metal) and a limited edition Drizzt Do’Urdan miniature. MSRP is $25.00. GF9 also recently announced two licensed Dungeons & Dragons RPG accessories releasing in June (see “Enhance 'Dungeons & Dragons' Adventures with GF9 June Releases”). See multiple images of each product in the gallery below!